I have always figured Australia as being a hotspot for fascinating rock’n’roll music (AC/DC, Rose Tattoo, The Saints), as apart from that I have rarely heard truly interesting bands from down under. But now there is Tim Yatras, a young musician and composer whose past explorations were mostly in the black and funeral doom metal genres. Lately he has been recording J-pop and K-pop songs for major labels probably located in South East Asia, and as if that is not enough, he has now his solo project Germ which is really hard to describe. Earlier this year he released his debut album Wish, which I unfortunately missed. But only a good half year later, he’s back already with the follow-up EP Loss, which comes with a generous length of well over half an hour. The short opener My Only Hope starts like a piano accompanied ballad with really beautiful vocal, before some trip hoppy beats set in, and all of a sudden there is an eruption, lifting the song into desperate pathos with incomparable screams and orchestral instrumentation. And all of this in exactly three minutes. The following So Lonely, Dead Lonely is the longest track featured on the EP. It uses its eleven minutes to build another incredible track full of terror filled shrieks and orchestral black metal arrangements that from time to time are suffused with electronic trance parts and later on another clean vocal part. Here it needs to be said that Tim’s clean vocals are much more original that those one hears on your average gothic metal album. In fact his performance has an undeniable pop appeal, and the melodies are proof of a sublime songwriter. This is not your typical goth / black metal mix, but instead a successful attempt of transposing black metal into musical genres it has so far never been heard with. Only When Every Timepiece In The World Is Smashed takes things even further. Its first, seven minute part, is an unbelievable crossover of black metal and trance, and it must be said again that the clean parts really elevate this into unprecedented regions. The second, three minute part is a ballad carried by clean vocals and acoustic guitar, preparing the ground for another highlight. Cold Grey Dawn (A New Beginning) is five and a half minutes long, and thus one of the artist’s shorter regular tracks, but this is where I start to believe that modern black metal could really be played on the radio. His guitar playing is incredible, the electronic programming quite smart, and the juxtaposition of the terrorised shrieks with the pop vocals is pure genius once again… as if Ultravox had dabbled in black metal back in the Eighties. The EP finally ends with the title track Loss, and while I normally despise piano outros, I soon realised that this is more than just self-indulgence. In fact this five minute track is not a mere outro, but a true-to-form classical piano composition that should convince even the biggest sceptic that Tim Yatras is an unparalleled genius. If this piece doesn’t move you to tears, you probably no longer have a heart in your chest. Lately the black metal genre has spawned some unexpected orthogonal offshoots, like the very popular Sólstafir from Iceland, or Deafheaven who sound like an evil Sigur Ros, and also Liturgy who signed to Thrill Jockey and all of a sudden made black metal interesting for the hipster community. And while Germ sound different from those three bands, I don’t hesitate to put them in the same group of artists who have managed the really hard thing of creating something new and original from a generally rather typical recipe. Normally I am very reluctant to give the maximum rating for an EP, but in this case I make an exception. First of all it is longer than many so-called longplayers, and more important, it is stellar from the first note to the last. 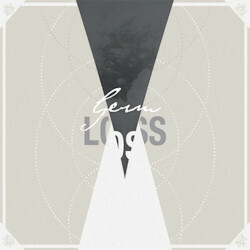 Let’s hope that Germ will have many more albums in store for us in the future.